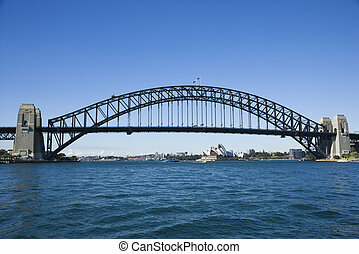 Bridge, sydney, australia. 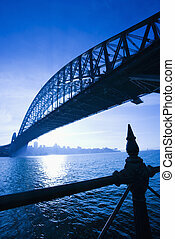 Sydney harbour bridge at dusk with view of distant skyline and harbour in sydney, australia. 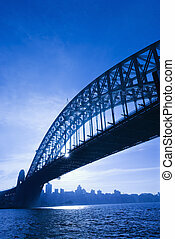 Sydney Harbour Bridge at dusk with view of distant skyline and harbour in Sydney, Australia. 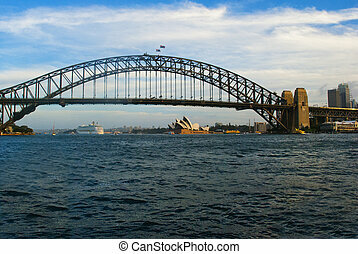 Sydney Harbour Bridge west side and Sydney Skyline, Australia during sunset. 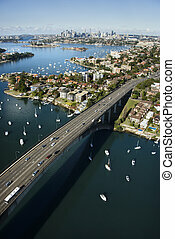 Aerial view of Victoria Road bridge and boats in Sydney, Australia. 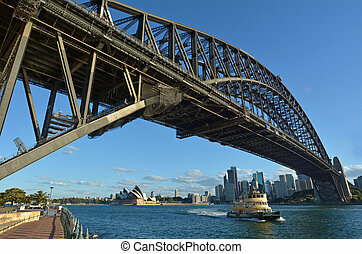 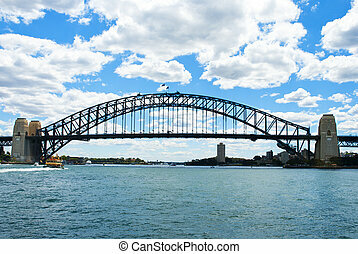 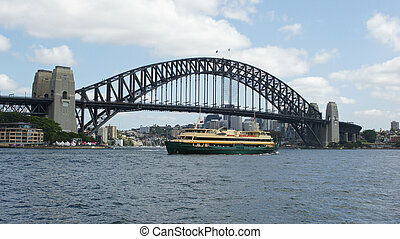 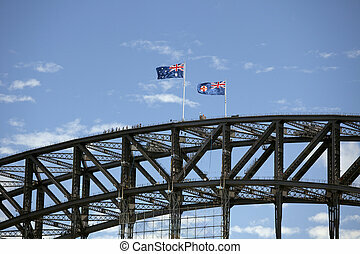 Sydney Harbour Bridge with view of downtown buildings and Sydney Opera House in Australia. 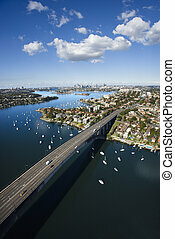 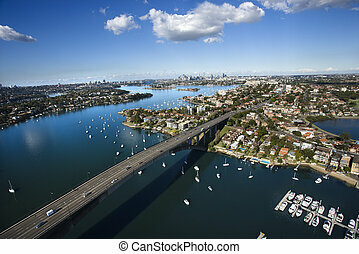 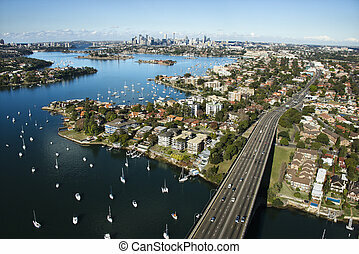 Aerial view of Victoria Road bridge and boats with distant downtown skyline in Sydney, Australia. 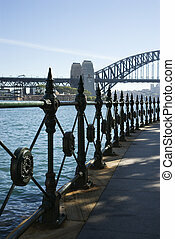 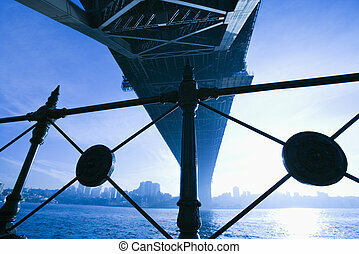 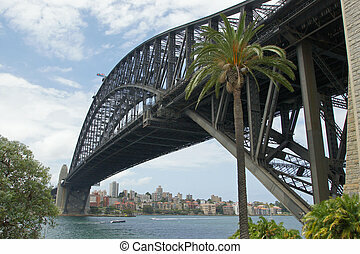 View from walkway of Sydney Harbour Bridge and water in Sydney, Australia. 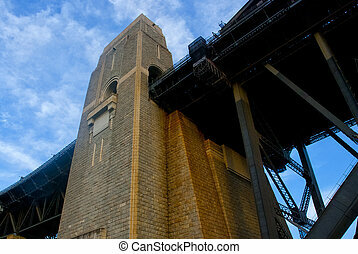 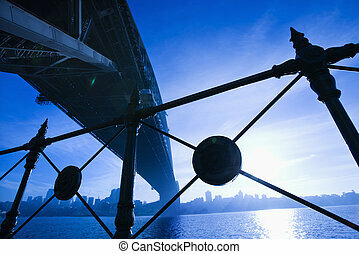 View from underneath Sydney Harbour Bridge in Australia at dusk with harbor and city skyline visible. 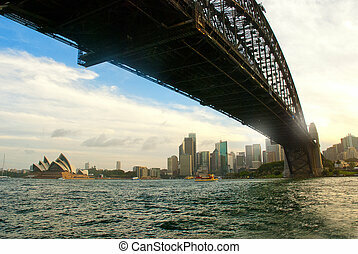 Low angle view at dusk from under Sydney Harbour Bridge in Australia with view of skyline and harbor. 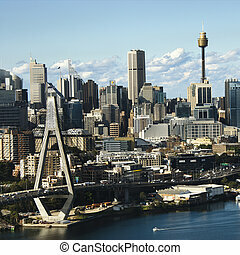 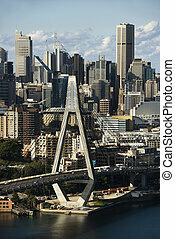 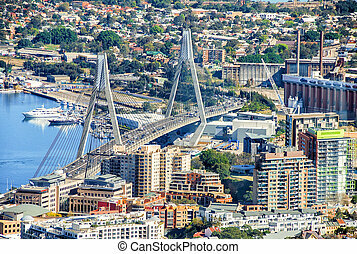 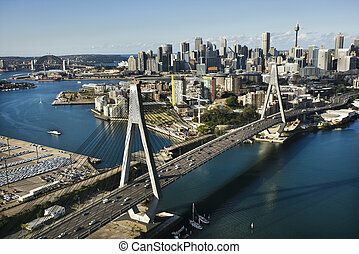 Aerial view of Anzac Bridge and buildings in Sydney, Australia. 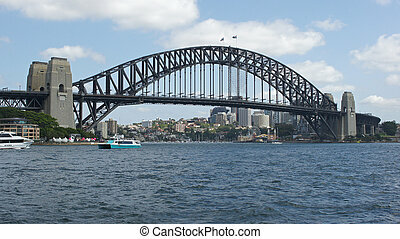 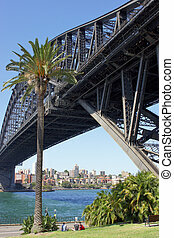 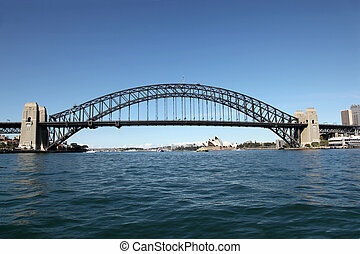 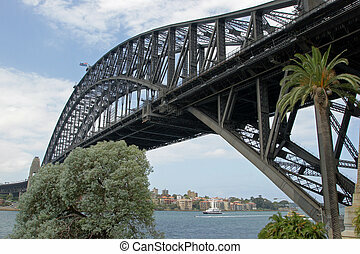 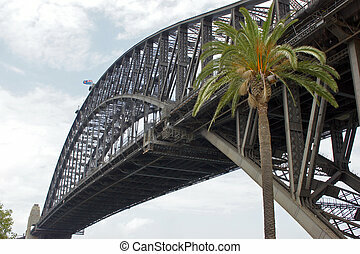 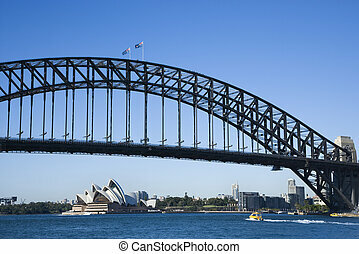 Sydney Harbour Bridge with view of Sydney Opera House in Australia. 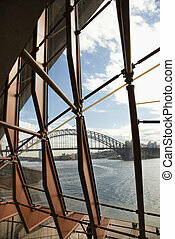 View from inside looking through windows to Sydney Harbour Bridge in Australia. 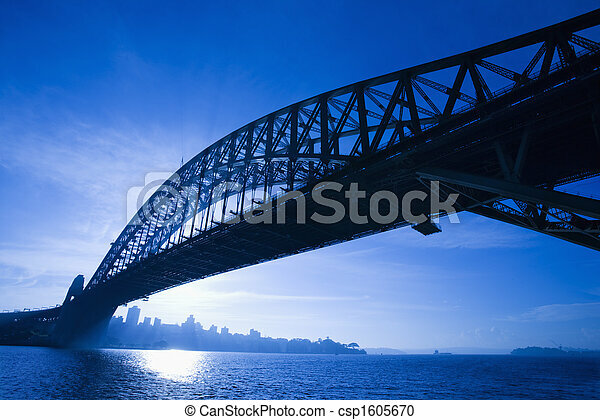 Low angle view of Sydney Harbour Bridge at dusk with harbour and distant Sydney skyline, Australia.